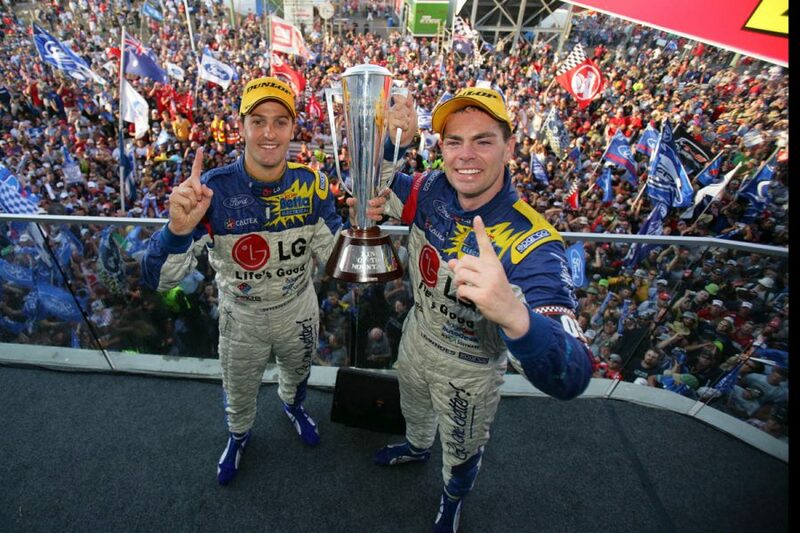 Craig Lowndes has revealed his ambition to drive Triple Eight’s 2006 Bathurst-winning Ford Falcon at the renowned Goodwood Festival of Speed in the UK. Lowndes, 44, will have more time for international events next year as he transitions from full-time to co-driving duties at the Triple Eight Supercars squad. While Lowndes has already outlined a desire to race GT cars in the Le Mans and Spa 24 Hour enduros, he says a run at Goodwood in the Falcon would be special. Lowndes rates the 2006 Bathurst win as his career-best achievement, having scored victory alongside Jamie Whincup just weeks after the death of his mentor Peter Brock. A Goodwood sojourn for Lowndes would mirror that of Brock, who drove one of the 1984 HDT Commodores at the Hillclimb in 2005. Lowndes spoke of his Goodwood dream during an extended interview on Greg Rust’s Rusty’s Garage podcast. "It’s the only car that Roland has kept in the team," said Lowndes of the Betta Electrical Falcon, which Dane has previously offered for sale for a rumoured $1 million. "I’m pushing him - and hopefully he hears this - to go to Goodwood. I’d love to drive that car [there]. "I hope he doesn’t sell it and if he does go to sell it, I hope whoever buys it, I’d love to drive that car again. It has very fond memories." 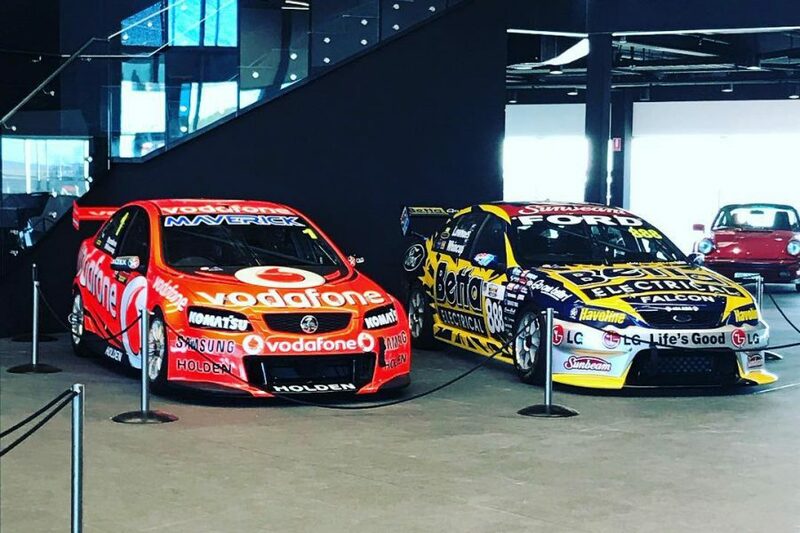 The Falcon currently sits in the hotel foyer at The Bend alongside Whincup’s 2012 championship and Bathurst-winning Holden, which is owned by its former driver. According to Lowndes, Whincup spent two years and "the national debt" on restoring the Commodore, leaving him with no desire to buy any of his old Supercars. "I’m lucky enough that I’ve got my first road car and my first race car," he said, referring to a Mk1 Ford Cortina he never sold, and a Formula Ford that is currently being restored. "For me, and I’ve said this to Jamie, to own a car like that it still needs to be run and operational. "That’s probably why I won’t buy a car. (Wife) Lara and I did talk about buying the last ever full-time Supercar, which is what we’re currently running in. "But I’ve got no ambition, unless Roland wants to give it to me as a present!" While it would be logical to think the 2006 Falcon is Lowndes’ favourite Supercar, he says it’s hard to decide between that and his 1996 Holden Racing Team VR Commodore. 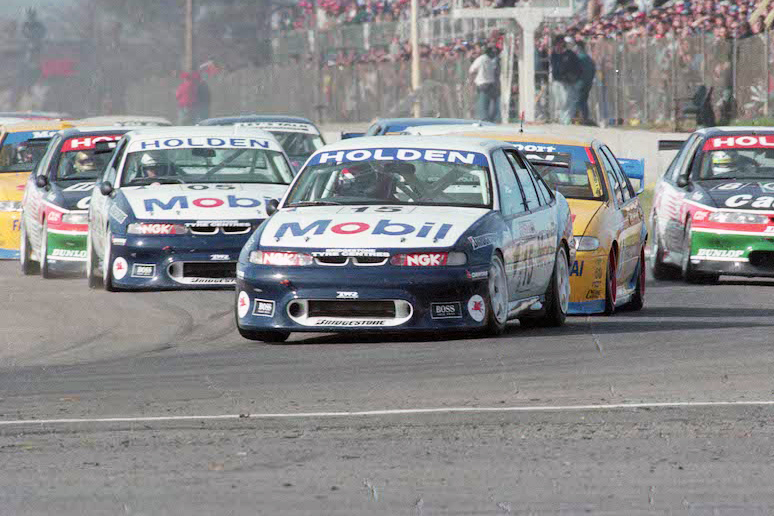 "I’d almost say the ’96, because we had a clean-sweep, we won the championship and Sandown and Bathurst with a Kiwi friend (Greg Murphy)," he said. "I’ve actually spoken to the owners, the Egglestons, they have completely restored it and I am going to, when we’re down in Melbourne, have a look at the car. "That’d be another that I’d love to be able to put my backside in, start the key and drive it around, just for old memories. "The ’96 and the ’06 would definitely be my favourite cars." 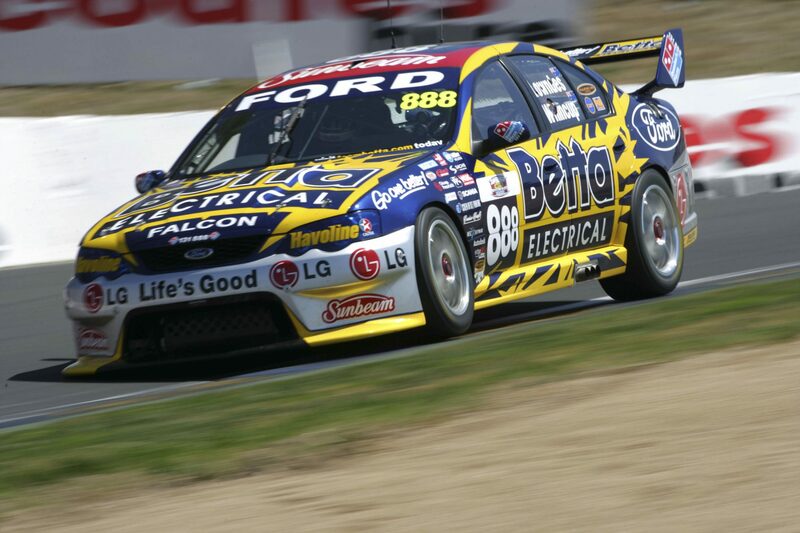 The Falcon was also a Sandown winner, taking out the race in ’05 in the hands of Lowndes/Muller and ’07 with Lowndes/Whincup. It was likewise the car Lowndes was driving when he tagged the wall while leading at Bathurst in ’05, which Lowndes rates as his most frustrating “one that got away” at the Great Race.